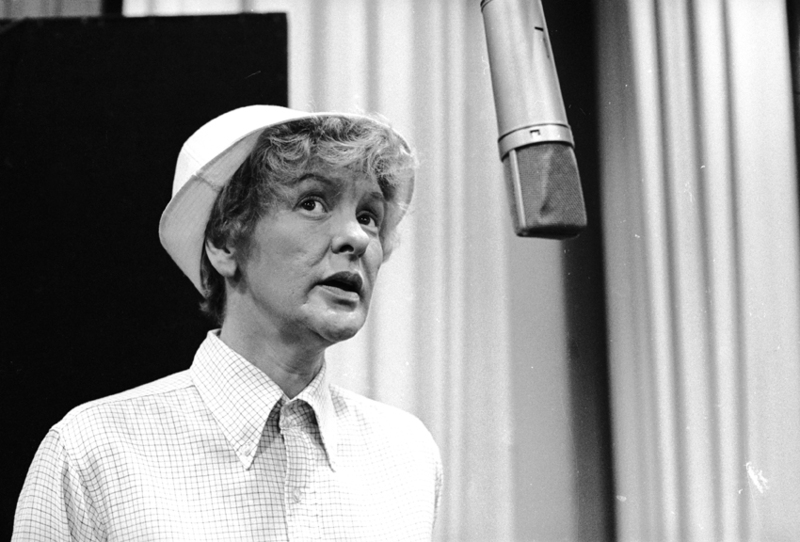 Famously Stritch resided for many years at Manhattan’s Carlyle Hotel. She moved to Birmingham, Michigan in March of 2013; retiring from performing at the ripe young age of 88, and leaving the city in which she made so much sense. Her career began in the 40s, and she worked consistently into this decade; enjoying a late-career boost of visibility through her brilliant, recurring appearances as Alec Baldwin’s cantankerous mother on TV’s 30 Rock. Here’s an article from the New York Times from the time of her retirement, and here is their obituary.